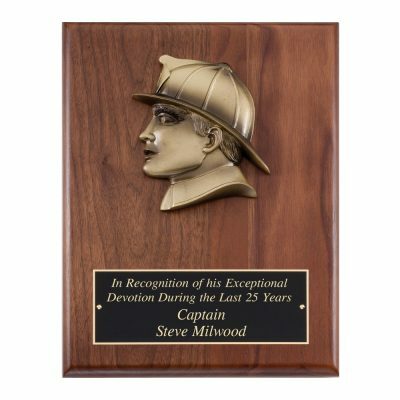 This is a solid walnut 9” x 12” fire plaque with antique bronze metal fireman casting. The Black brass laser engravable plate has room for the perfect message. A great plaque to honor any firefighter.